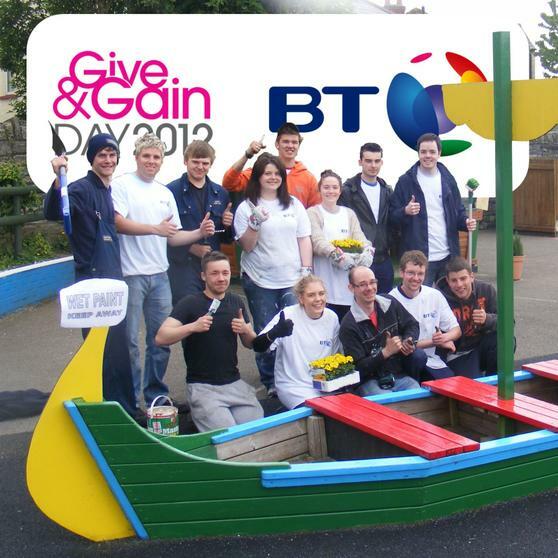 As part of Give and Gain day 2012 volunteers from BT's modern apprentice scheme came along to help the children at Millbank by refurbishing the garden area. We have always encouraged the children to be community minded and they always raise funds for others, do litter picks in the community and try to make the world a better place for everyone. 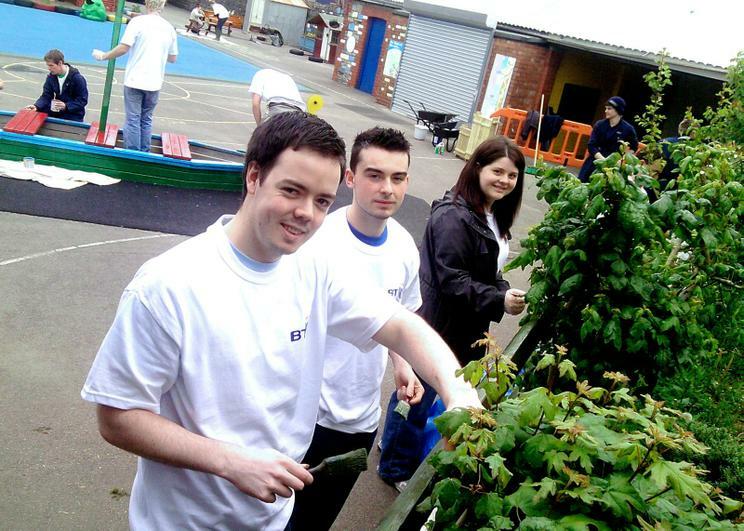 So it was fantastic that we had like minded volunteers from BT who came along to help us with our garden and inspire the children. 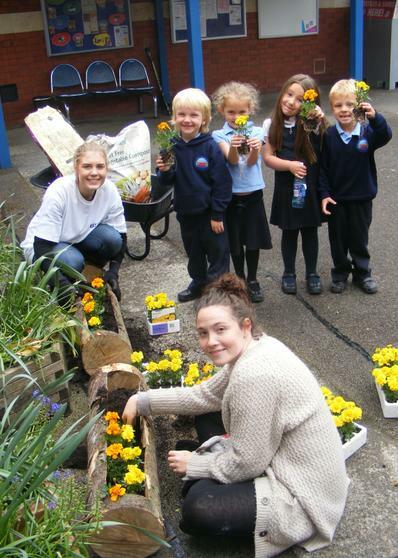 Miss Allen (our head teacher) said "As an eco-school, sustainability is a very important issue in everything we do at the school" so BT made sure that the soil we used was peat free organic soil. 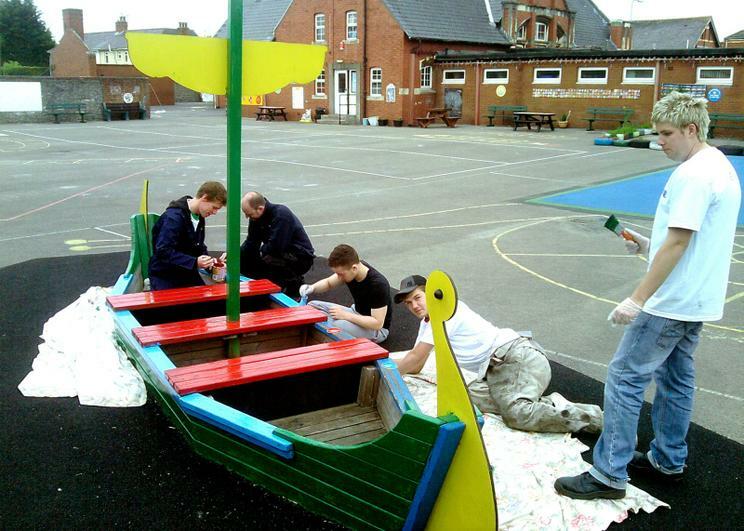 Rather than just buy new, they painted the benches and fencing to prolong their lives. They converted and old sandbox into a raised planting area. 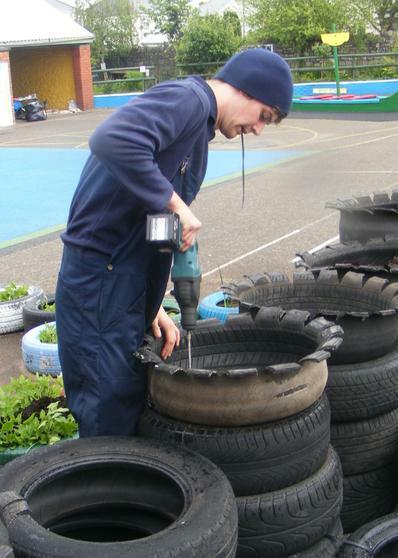 They also showed their creative side by turning old tyres into a amazing flower wall for the children. 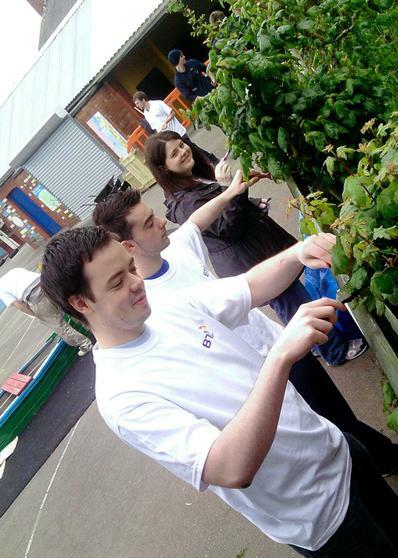 The children have already started planting out some of the plants that they have grown from seed along with new ones donated by BT. 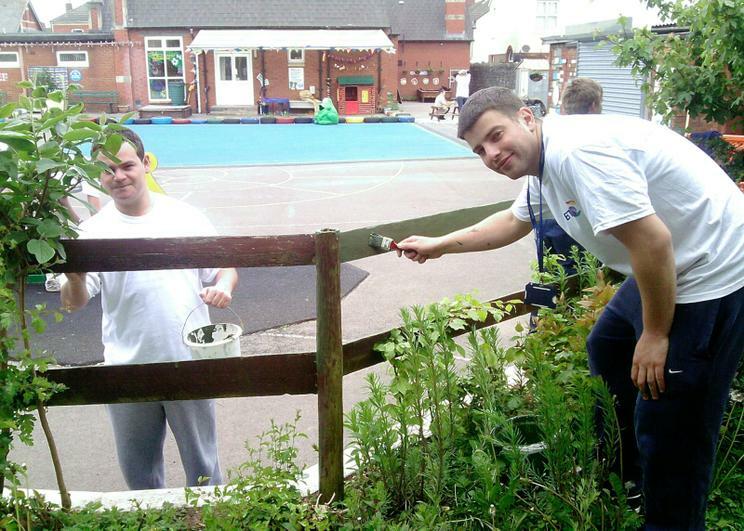 The children take great pride in their gardens and water and care for them enthusiasticly. 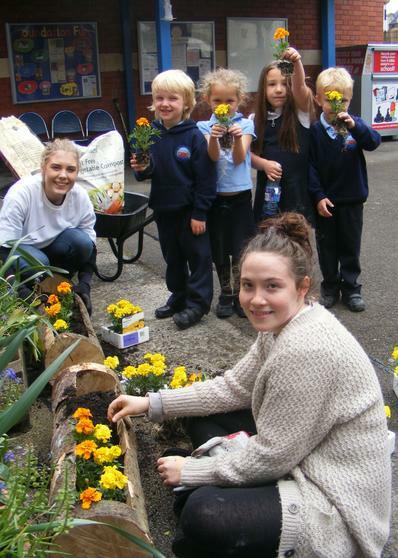 Seren and Oliver from the Reception class said that the flowers "Made the school look pretty" whilst Georgie said she "Cannot wait to start planting" and harks back to the School Council survey in which Lily- may from reception asked for more flowers around the place. The garlic, herbs and strawberries that the children planted are ready to go into the beds as are the pumpkins that the children grew from the seeds that they collected from the halloween pumpkins, before they made their lovely soup. 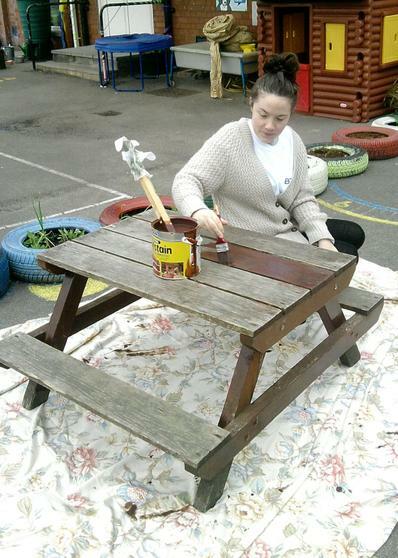 Miss Allen said "The whole school wants to say a big thank you for their help. 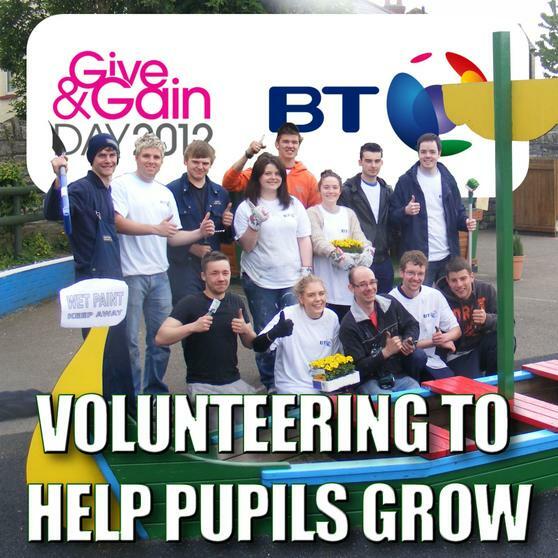 It was nice that the volunteers from BT listened so carefully to what we needed and worked so hard to help us achieve it. 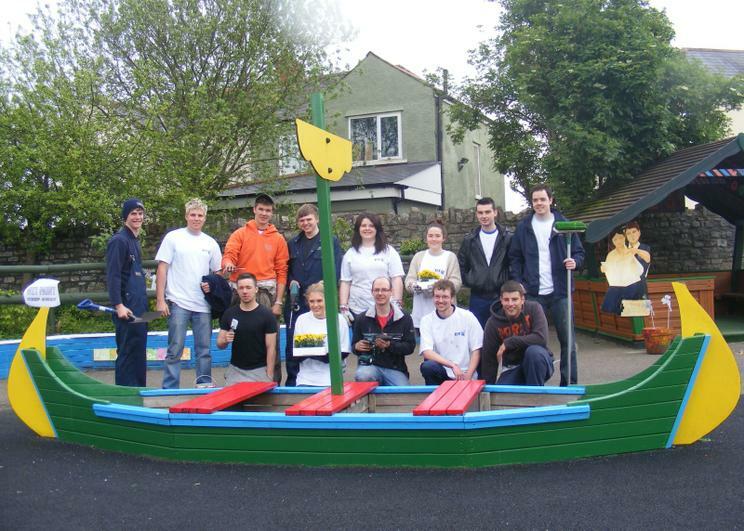 They acted really professionally, taking great care not to leave any mess and the children cannot wait to get gardening." A huge "Thank you" also goes out to Keegan's mum who donated and delivered lots of lovely nutrient rich manure from the stables for our garden and to Chloe's dad for all the tyres. 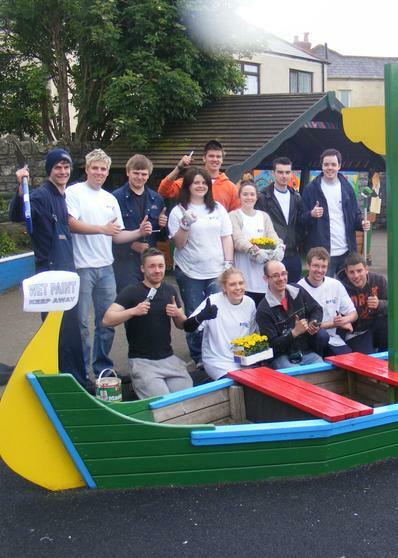 You can see when the lovely people from enterprise cars came to help us by designing and building an outside classroon in 2010.